With the myriad health impacts involved with exposure to natural sunlight, it is only reasonable that we should expect the market to fill this particular void. But how can we expect natural light to filter down through our houses, and fill their darkest corners – many of which are separated from the sun by several floors and walls? Solatube is the answer. If you’re familiar with the ultra-reflective nature of fibre-optics, you will know how they utilise a reflective interior to transmit energy along their length. Essentially, Solatubes are a scaled-up version of the same concept. 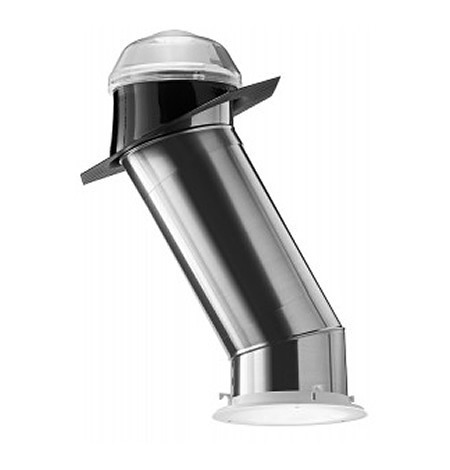 The highly reflective interior of the Solatube allows it to transport light along its length, receiving the light through a roof mount, and illuminating the space at the far end. The biggest advantage of the Solatube in Melbourne is its ability to bend and refract light. You don’t need direct roof access with a Solatube to enjoy the illumination of natural lighting. Even rooms lying at an angle to the available sunlight can be accessed, as the internal reflection of a Solatube keeps the light moving down it’s length regardless of the flex or bend involved. Now, those areas of your home that were once only the bastion of artificial lighting can be lit with gentle and warm sunlight from outdoors. A true game-changer for any household, Solatube is illuminating homes in Melbourne, and can illuminate yours.